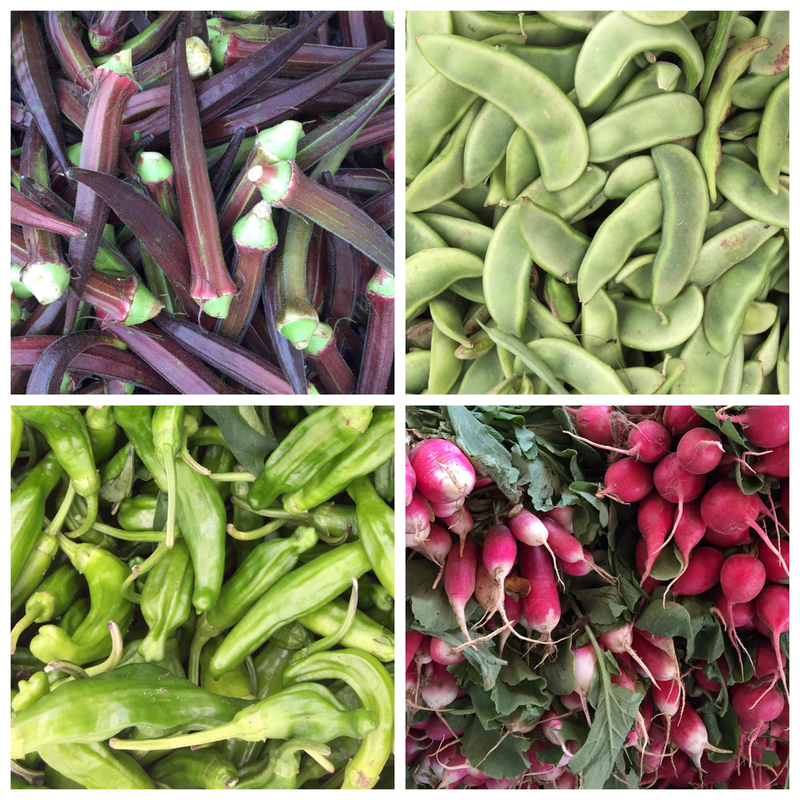 I admit it, I derive a good amount of pride whenever I go to the farmers market or grocery store, see what’s in season, get inspired, and whip up something delicious. Not all experiments are winners, but whenever I strike culinary gold, the feeling (and compliments I make my husband shower me with) is pretty great. So when my friends started raving about this “meal-kit” delivery service called Blue Apron, I didn’t give it much thought until this Groupon for Blue Apron showed up – that made it pretty compelling to at least give it a shot. Good news everyone, it’s still August. Even better news, black mission figs will be in season until late fall, yahoo! Let’s extend our summer and transform this fruit into some fig-ing delicious ice cream. FIG-ING AMAZING (I had to use that pun, obviously). 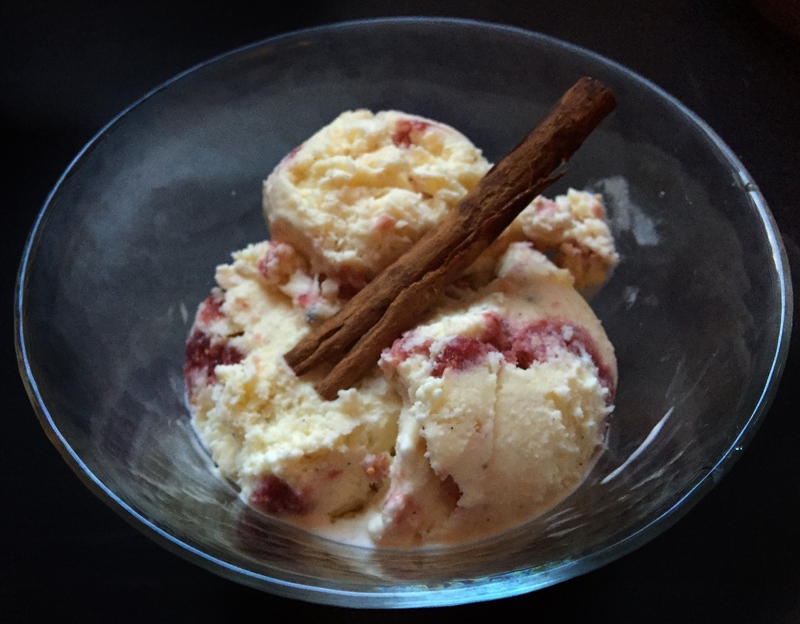 We love our fro-yo but… dammit, ice cream is just SO GOOD. This no egg-tempering recipe from Saveur is a quicker and easier alternative to the traditional French ice-cream. While still delicious, this time-saver recipe is less creamy, a tad icy, but probably better for your cholesterol levels. I was chatting with my BFF the other day brainstorming on recipe ideas for the abundant supply of cucumbers from the farmers market (and her garden, thanks Angie for the header photo!!!). Not wanting another “oh so typical” salad that would put me in chopping misery, she reminded me of this delightful little side cucumber salad commonly served in Chinese restaurants. 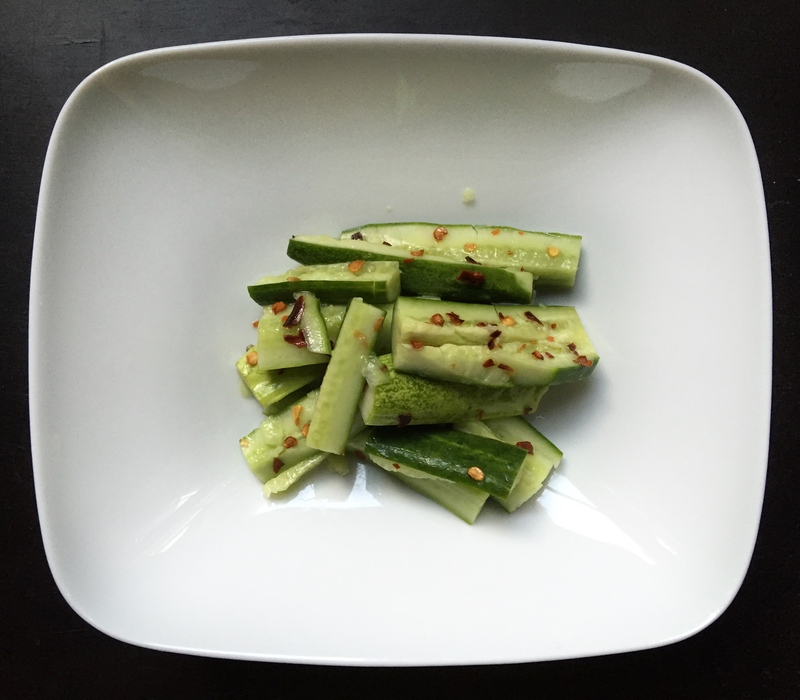 This super simple recipe doesn’t require a million ingredients, takes only 5 minutes to make, and splendidly highlights the crispiness of the cukes that so defines summer. The Kirby variety is recommended since it has thin skin and crunchy flesh, its size is also perfect for the preparation process – smashing! Summer exists in its own time warp it seems, how do longer days make a shorter season anyway? This August, I am trying hard to stay present, savor every ray of warm sunshine, and not jump ahead mentally from summer to winter (there’s still fall to look forward to!). Speaking of savor, there are still so many awesome summer vegetables to be had, like OKRA. I like them every which way they come and in all its slimy goodness … yummm! I know the sliminess can be a turn off to some, which brings me to this most super summery summer recipe of all time (well, maybe second to the chipotle corn soup): Purple Okra, Sweet Corn, and Tomatoes Stir Fry.